Free £24 Driving Credits For New Zipcar.Co.Uk Members! ● Unlike most car-rental companies, Zipcar rentals of less than one day are charged by the hour, which means that Zipcar may be a cheaper option if sometimes need a car to run errands. 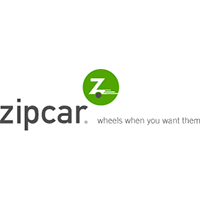 ● The cost of gas is included as part of Zipcar’s rental and membership fees; you can pay with your Zipcard. ● Membership rates vary by location, but general options include an annual fee or a slightly lower month-to-month payment plan with a 12-month commitment. Zipcar UK is a car sharing service. This is a member site that visitors join so that they can have access to cars for hire for an hour or a day or beyond. There are eligibility requirements to join this club. The driver has to be licensed and over 21 years of age unless you join via a sponsoring university or other group. If under 25 there must be no driving convictions, tickets or any driving history issues. There can be no driving and drinking convictions regardless of age. This fee based club offers a 30 day trial period if you are not happy with the service the fee will be refunded. For most up to date offers check out Zipcar.co.uk on Facebook and Twitter or contact Zipcar.co.uk Support for any questions.